What better way to get into the spirit of Earth Day than to make something totally new with a piece of junk you’ve had lying around! 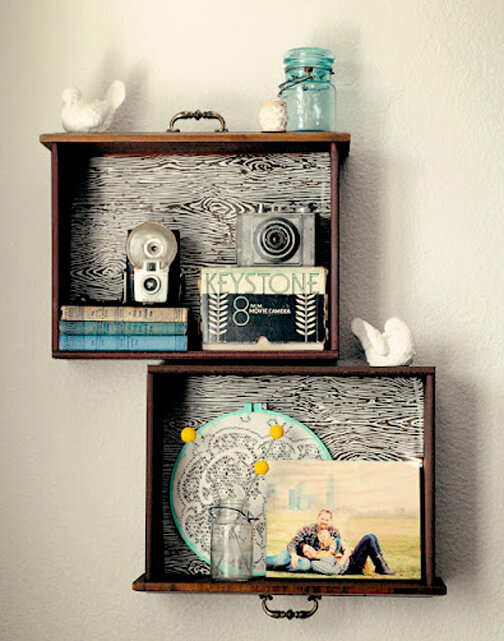 Here are our 10 favorite DIY upcycling projects on the web. 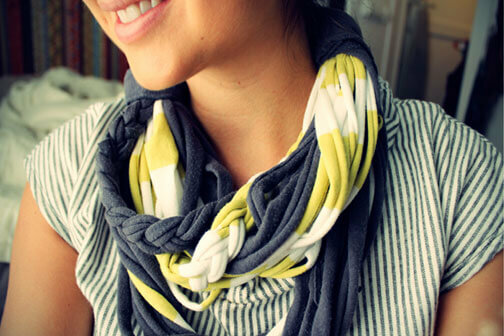 This nifty little scarf comes together with strips of old t-shirts… would make a great gift (hint hint). 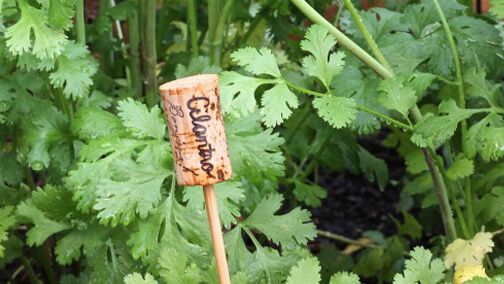 You know the drill … the little plastic plant tags that come with your seedlings can end up looking like litter. Here’s an easy way to add a bit of whimsy to your garden. Plus, it’s incentive for drinking more wine ;-). 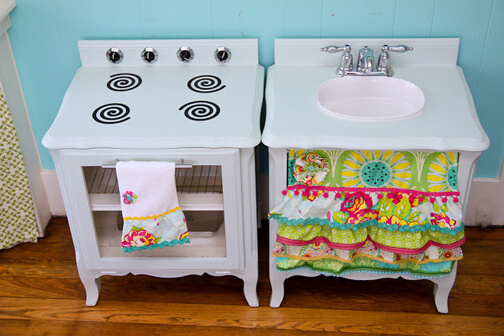 This one is a bit of a project, but if you’re handy and you’re hankering for a kitchen set for your kiddo, check this out. Brilliant. 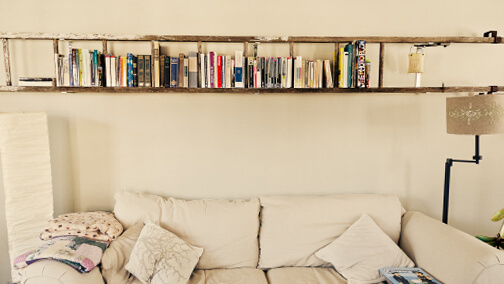 Brings the whole “rustic industrial” feel into small spaces in a super useful way. 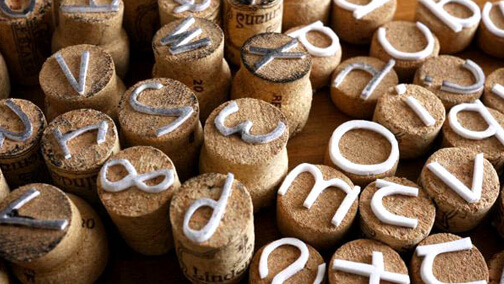 Yet another ingenious way to use old corks … and even more incentive–you get the drift. How about this? 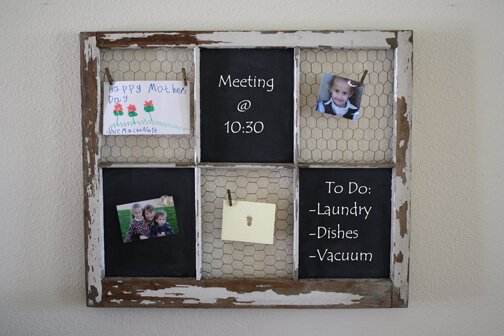 Who knew that the old banged up window frame in your back yard could actually get you organized! 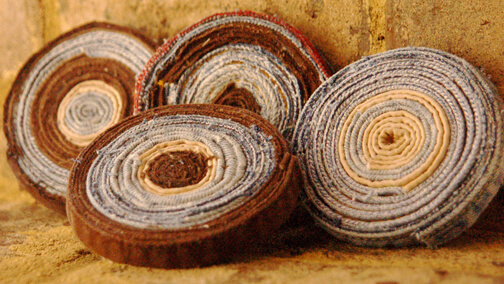 Another great gift idea … coasters made out of old jeans. 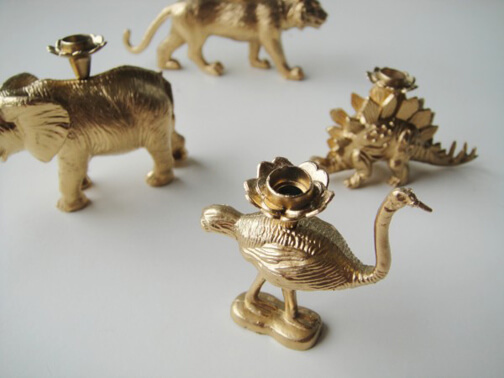 What kid (or, lets face it, kid at heart) wouldn’t love a gilded toy animal on their cake? 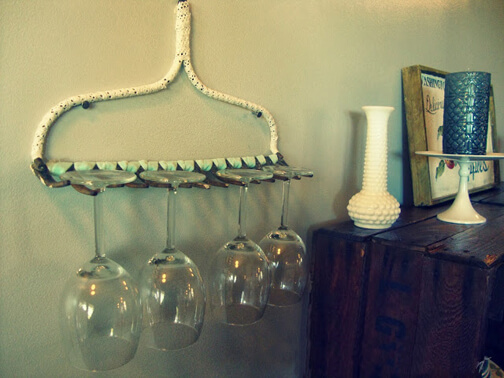 I love the idea of bringing the garden inside for this creative wine glass rack. So simple, yet such a great use of space. These remind me of “window boxes,” only cooler.